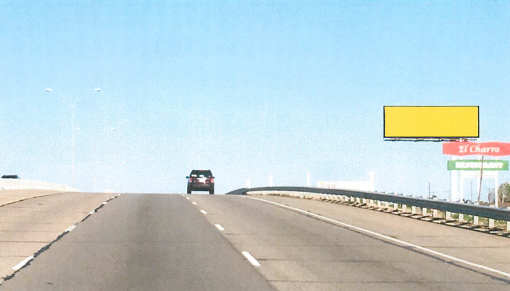 This is the tallest billboard sign in the Amarillo market. It reads to all traffic going west on I-40. It is a NEXT EXIT for Grand Street. This unit sign reads to traveling tourist coming from Oklahoma City and the DFW areas .Local traffic going west towards the I-40 Interchange reads it as well. It would make a great directional sign or brand awareness sign for any hotel, restaurant, fuel center or service business.